Meagan is a gentle girl who loves to be patted. She is shy at first with strangers, but once you have her trust and paw of approval, she rolls over, giving the sweetest head rubs and cutest chirps to show how much she loves and appreciates your company! 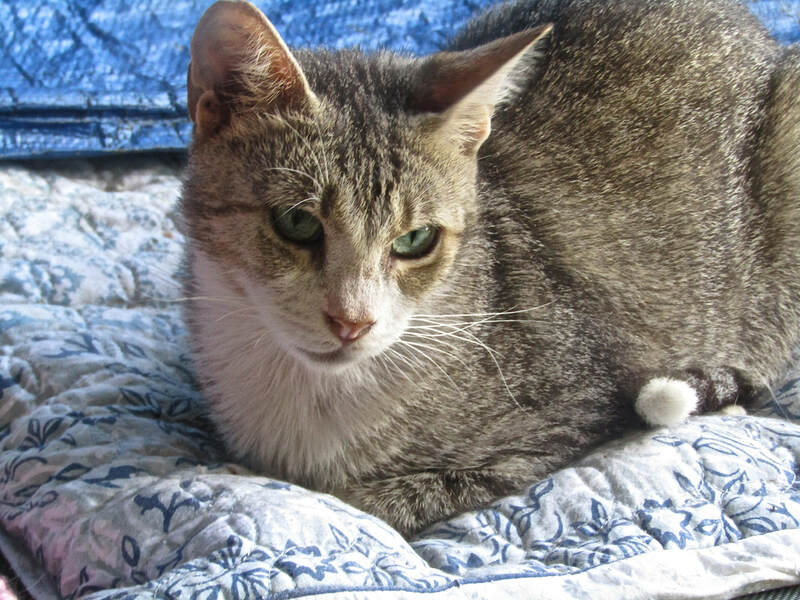 Meagan gets on well with other cats and causes no fuss when a new friend comes aboard. Her stunning calico colours and sweet eyes are mesmerising. She enjoys chasing string toys and lazing about up on her cat tree, taking in the sights and sounds of the day. She has come a very long way since she first came into our care from the streets. A once extremely scared girl that would cower and flinch in fear when approached, to now a happy girl who craves human affection and touch. Meagan is a beautiful girl who just needed to be shown what human kindness feels like.